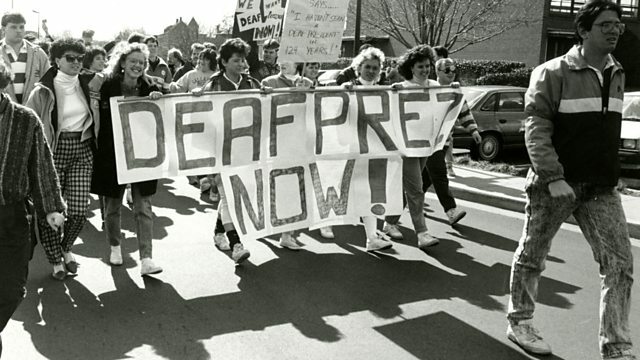 Students at deaf-only Gallaudet University in Washington DC shut-down the campus in protest when the board of trustees appointed a hearing President in March 1988. Students at deaf-only Gallaudet University in Washington DC shut-down the campus in protest when the board of trustees appointed a hearing President in March 1988. They barricaded the campus with buses, marched to the White House and made the front page of the New York Times. Claire Bowes has been speaking to Dr I King Jordan, who was eventually appointed the first ever deaf President in the University's long history.